Political confusion might appear on the surface, yet the new government cannot act without the right people in place. While the world is watching Malaysia, trying to explain the unexpected victory of Pakatan Harapan (Alliance of Hope) in last month’s elections, what is actually more important is the massive clean-up currently underway in the country. By clean-up, I mean a near-total replacement of all key people in the civil services, judiciary, security services, and in universities, and all political appointees in government-linked companies. In the past month alone, many have left or are in the process of leaving their positions. The departures include the Chief Justice and President of the Court of Appeal, the two highest judicial posts in the Malaysian legal system. Both were past retirement age and had been appointed outside the normal procedures. At the time, their appointments were challenged by the Malaysian Bar Council and Advocates Association of Sarawak. The Attorney General, the government’s main legal adviser, has also changed. The previous office holder famously cleared Najib of any wrongdoing in the multibillion-dollar 1MDB scandal only weeks after he was appointed. The new AG, Tommy Thomas, is a Christian, and his Indian-Malaysian background sends a powerful signal to the right-wing Malay groups who campaigned strongly against his appointment. This is also notable as a major departure from Mahathir’s governing philosophy. Others to go include the head of the anti-corruption agency, the Malaysian Anti-Corruption Commission, and the head of the Special Branch, which was involved in extensive surveillance and dirty operations against opposition parties during UMNO’s rule. The Inspector-General of Police, Malaysia’s top cop, is also expected to be removed in the next few weeks. 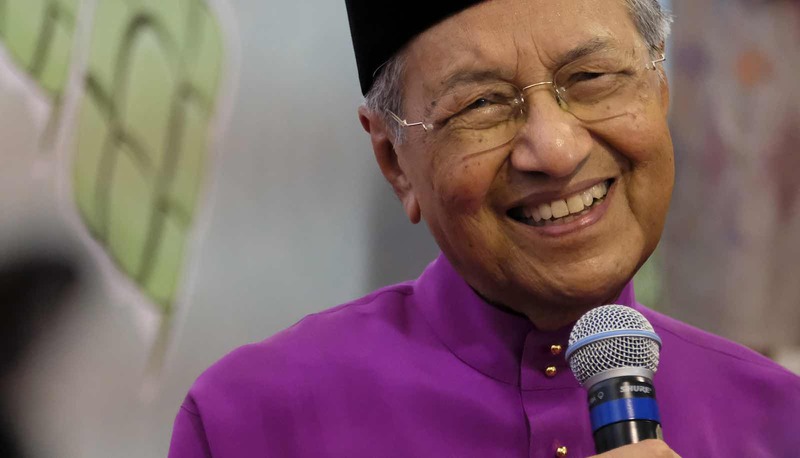 His predecessor, who was overtly political, is now banned from leaving Malaysia. The Governor of the central bank, Bank Negara Malaysia (BNM), has also changed, with the previous incumbent alleged to be involved in several deals that helped Najib cover up the 1MDB affair. The secretaries general of several ministries (similar to a permanent secretary in the UK civil service) will also be removed in the next few months, and the secretary general of the Finance Ministry has already been forced to resign. Already the head of Telekom Malaysia (who played a key role in UMNO’s campaign) has resigned, as has the head of the Public Land Transport Commission and the chairman of the Federal Land Development Authority (FELDA), the most important agency that deals with land development for the rural Malay population. In the coming days, I expect the senior personnel from Khazanah Nasional Berhad (the sovereign wealth fund of the Government of Malaysia) and Maybank will be replaced as well. Several vice chancellors of public universities will also be replaced soon, after some not only urged the public to support UMNO, but also appeared regularly in the media to attack the then opposition, Pakatan Harapan. Knowing full well that the entire government machinery was basically UMNO’s party machinery, one of the first actions of the Pakatan Harapan government was to establish the Council of Eminent Persons (CEP). This has been the blunt instrument used for reforms. In the past month, the CEP has summoned all the key stakeholders in Malaysian society to appear before it. No one, as far as I can ascertain, refused an invitation from the CEP. Many of the immediate key economic and reform ideas are likely to originate from the CEP. The key takeaway from the work of the CEP and IRC is that Mahathir and the new Pakatan Harapan government understand the importance of independent state institutions. They saw how UMNO corrupted the independence of these institutions, allowing Najib to get away with the 1MBD financial scandal. In all probability, there are other financial scandals that will be exposed once new people are appointed to key posts. The international community should take note of the changes and, more importantly, should read what is going on in the proper context. While on the surface there appears to be a lot of political confusion in the Pakatan Harapan government – another dozen ministers are still to be appointed, for example, including the Foreign Minister – the reality is much more simple. The new government cannot move ahead with reforms if the right people are not in place. How much has Mahathir changed in his orientation towards the West in the last 15 years? The scandal that felled Park Geun-Hye has been covered extensively elsewhere. Here are three broader lessons in political science.